Come visit us! 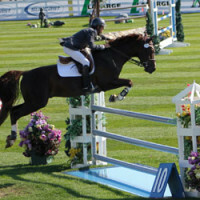 Our focus is to facilitate family enjoyment of horses at this facility and at Hunter/Jumper and Cross Country shows. We have over 75 acres of beautiful scenery and trails, situated in Fort Langley, B.C., Canada. We offer Riding Lessons for developing riders of ALL AGES from beginners to Grand-Prix level. 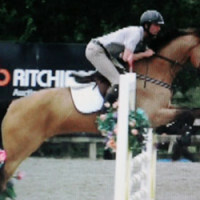 Young prospects and experienced competition ponies available for sale. Many Boarding options available. Check us out!! 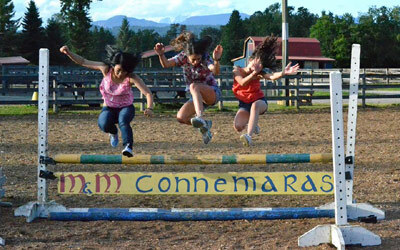 We offer quality Connemara and Dutch Warmblood stallions, mare services and have an excellent facility for raising foals ! Connemaras have proved to be loyal friends, incredible competitors, and fantastic producers. We believe they are the perfect sports pony for children and their families as well as women/men who want to have fun and be competitive on a smaller mount. 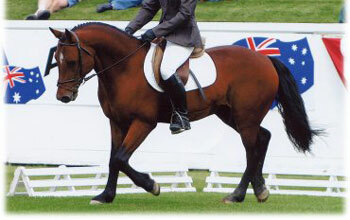 Connemaras are brave, balanced, and handsome horses with a natural jumping ability, and its rectangular build lends it suitable for dressage as well. They often beat horses 16 hands and over with staying power, intelligence and heart. We began boarding and training at M&M in 2012 and were immediately impressed by the professionalism and heartfelt passion and focus on quality care for our horse. The owners, Melanie and Lesley, with their years of experience in the equine industry, foster a wonderfully inclusive family-friendly environment, and Heather and other members of the coaching team lend their specialized skills to provide the perfect mix of learning, safety and fun to develop quality young riders, for both the competitive and pleasure minded, alike. My daughter and I have been riding at M&M for over 3 years. We have progressed from once a week lessons to horse owners. Mel and Heather have supported us and been partners with us through every step of our journey . The atmosphere is supportive, friendly and non judgemental. 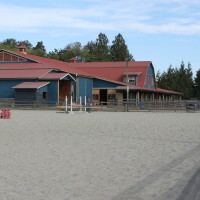 There is an indoor and an outdoor arena, trails to ride on and a small cross country course. I wouldn't hesitate to recommend M&M to anyone else. 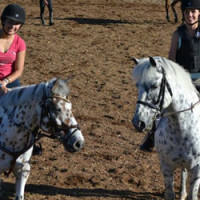 M & M is a very friendly, professional and accommodating equestrian facility that we call home away from home. The owners, the coaches, trainers, and the staff are very professional, experienced and family oriented individuals. The facility is not only beautiful and versatile, but also well maintained focusing on the boarders, horses, riders and safety.